Excellent clean well and friendly staffed hotel. Great location 15 minute walk from Kos Town. Food good and as much as you wanted. Clean linen in comfortable room. We would certainly go there again and can recommend this hotel to anyone. Hotel was very clean with fresh towels/linen every day. The food was very good, though some guests didn't have a clue how to queue. 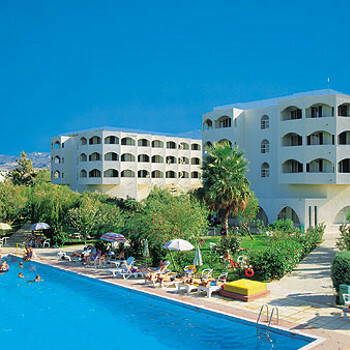 Good location, only 15 mins walk from the centre of Kos Town. Beach across the road was a bit naff tbh. The staff were excellent, very friendly and helpful. We had three rooms and the reception staff could remember our keys which was impressive. Entertainment was so bad it was good. Best night was undoubtedly the traditional Greek night with the keyboard singer and dancers. Just returned after one week at this hotel. Hotel quite nice but i wouldn't rate it as a 4 * more a 3 *. The only complaint really was that the air conditioning badly needs up -grading. We got round this problem by forcing the metal fob from the key and leaving it in the socket thing all day. Not very eco freindly I know, but the a/c really struggled in the high temparatures. The hotel is in a great location 20 mins walk from Kos Town and there was also a bus stop right outside the hotel. The rooms were a good size, nice and airy and cleaned every day. The pool was large and also cleaned every day. The hotel was quite family orienteted but there were lots of couples aswell. Very cosmipoliton atmosphere at the hotel, good mix of french, u.k, italian and of course german. No loud music around the hotel area, people looking for hi-di-hi style organized entertainment/ activities wouldn't like this hotel. I thought it was great. The food was quite good and they did make an attempt to offer some authentic greek dishes. For example, dolmades, mousaka and geovestis. On the down side the size of the buffett serving area was so small that que's were snaking round the dining area. To avoid this scenario, have your evening meal at around 8:30 pm. Hubby had a good moan about the breakfast, plates to small not enuff selection etc. I stuck with the greek yogurt with honey and nuts, it was lovely. This hotels biggest assett was the staff. They were really helpful and a gold mine of info re what to see and do whilst in Kos. The pool snack bar served up lovely food also and the prices were reasonable. The greek plate at 5 euros 90 cents was between two was great value for money. We enjoyed our stay at this hotel and wouldn'y hesitate to reccomend it to others. Hotel is 20 mins walk from town center and port in a quiet area. Hotel rooms are spacious and clean with plenty of storage space. Lots of Germans but they don't hog the sunbeds!! First in May 2004 and then went back with our family in September 2004. (Returning September 2005). Staff helpful and friendly beyond their duty. Food first class - wide selection. Within walking distance of town, close to beach beautifully kept hotel grounds. Can't speak highly enough of the staff from management to groundsmen. Beautiful hotel, beautiful location, fantastic people. We stayed at the Continental Palace in Kos in May and we had no complaints the food was very good and there was always plenty of it. The staff particularly the reception staff were very helpful and could not do enough for you. The pool and the poolside snackbar was excellent good food and pleasant staff. Entertainment was a bit dated and not on every night.